Yesterday saw the release of two new posters for Tom Cruise’s take on Groundhog Day. We have, sort of, seen them before. They were as banner images and not the posters that you can see below. They don’t give any more information about the film. The only thing they do is to remove some of the magnificent vistas from the earlier version of the images. They are, almost, exactly the same. All that changes is the city that is destroyed. One of the other images of the two of them together. How about just using one of the stars per poster? Seemingly a new idea! Not only is the film about re-running the events of a day over and over, the film’s premier will be as well. The plan is simple. Have 3 premieres in 3 different cities on the same day. Easy? Well, not that. The 3 chosen cities are the 3 classic cities of the world. London, Paris & New York. Not only that, fans can follow the events on twitter, and other social media. Following on twitter is as easy as looking out for the #EOTLive hashtag. Ask a question, make a comment or just wish them luck in their endeavour. 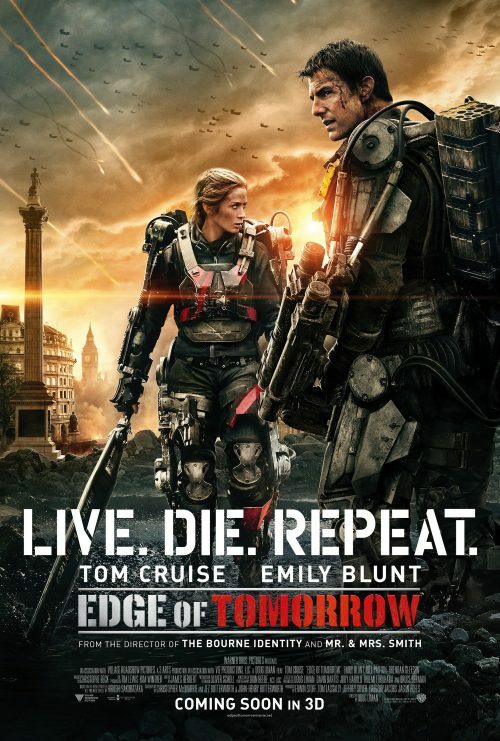 On May 28, the stars of “Edge of Tomorrow” will take part in a groundbreaking worldwide event when, for the first time ever, three fan premieres will be held in three different countries in just one day, “resetting” the red carpet as Tom Cruise and Emily Blunt race the clock to make each event before time runs out. It all kicks off at 7am in London and then we run around the world with the stars of the film. 7:00 a.m. inaugural “Come Find Me When You Wake Up” premiere kicks off on the carpet in London, with a 9:00 a.m. screening. 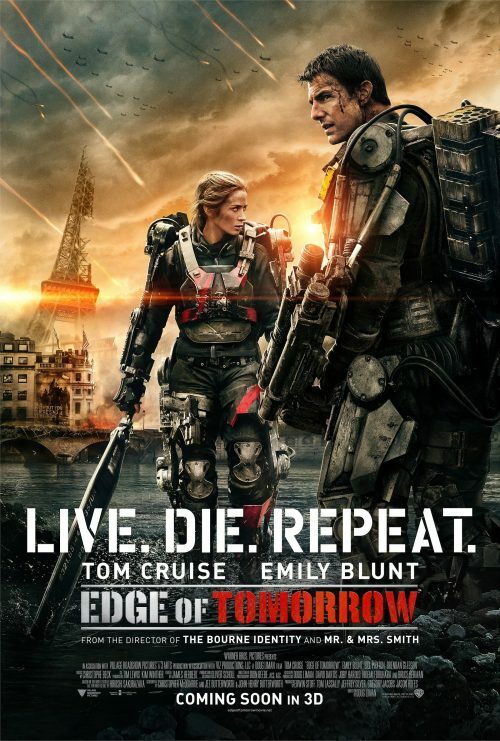 2:00 p.m. red carpet in Paris, screening at 4:00 p.m.
10:00 p.m. red carpet in New York City, with the final screening—on the edge of tomorrow—at 11:59 p.m.